“A revolution is not a bed of roses. It is a battle between the future and the past,” said Fidel Castro. Exquisite words of wisdom from the mouth of an experienced leader and revolutionary figure. That quote consummately embodied his life, a life which in the not so distant past of imperial oppression and the hope for a more sovereign and productive future, fueled the fire that drove the resilient and charismatic leader of the Cuban revolution and champion of his people. It is with heartfelt solidarity that we, the students of St. John’s College, offer our condolences to the people of Cuba. We celebrate the life and legacy of El Comandante, Fidel Castro. It is fitting that we pay our heartfelt gratitude to one of the greatest supporters of humanity, to one of the greatest leaders in liberation, to a man who held the economic, social and cultural development of all humanity as of significant importance to a revolution. Whilst most leaders kept silent about the racially motivated oppression of the Africans, Fidel Castro was one of the first and only leaders to voice his opposition of such infractions against a people whom he embraced as “Brothers” when addressing the freed Nelson Mandela and the issue of apartheid. His assistance to humanity didn’t end there. It continued throughout the decades, as Cuban medical officials are always some of the first to respond to outbreaks of health-related issues across the world, and knowledgeable engineers have been sent to countries that experience natural disasters in an effort to relieve the burden of the people. Such actions of genuine generosity made it adamantly clear that Fidel Castro was a man of action, one who led by example and gave selflessly. Hence the reason, he will always be remembered as, “a champion of the poor”. “I began revolution with 82 men. If I had to do it with 10 or 15 and with absolute faith. 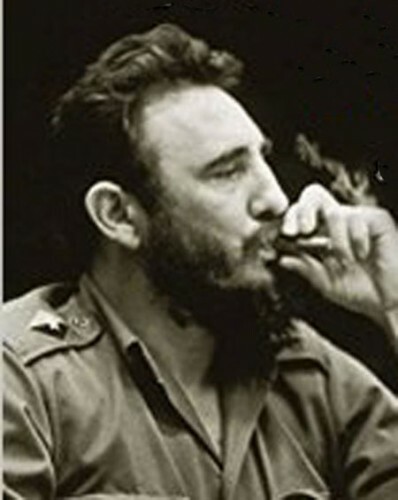 It does not matter how small you are if you have faith and plan of action.” – Fidel Castro. From his early adulthood, he had his vision for Cuba, and a goal that he set in motion as he set forth his plan of action, with absolute faith. It was not by chance that he was successful in his mission of liberating his people from the firm grips of imperialist control. It took decades of determination and ingenuity, and upon achieving his goal, he shared his vision with other aspiring nations. One such nation was Belize. Our leader, George Price, shared the same vision for a liberated people. He along with his team had absolute faith and determination in working towards building a sovereign country. We as a nation, 35 years later, are still and forever will be grateful to Fidel Castro, as he contributed to a significant part of our success in gaining our Independence. He had a good heart, and was empathetic to our cause, therefore supporting us tremendously on our journey to being a free nation; both in public before other nations and privately between our great leaders to ensure that our hopes and aspirations would eventually become a reality; a reality that we now all share. 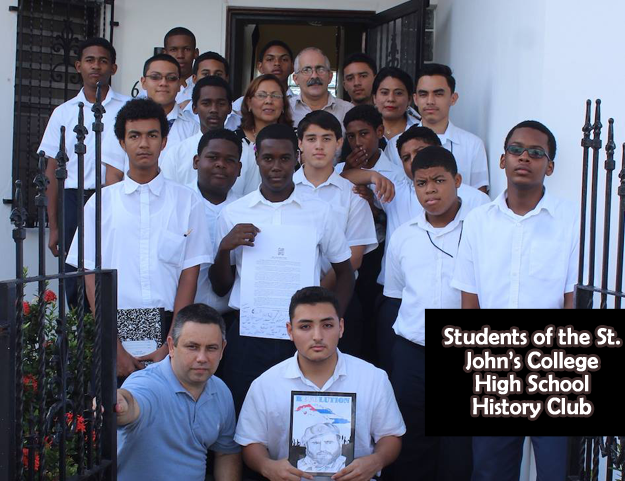 “There’s one place where (Fidel Castro’s) Cuba stands out head and shoulders above the rest – that is in its love for human rights and liberty!” These words of the great Nelson Mandela perfectly summarize how we, at St. John’s College and by and large, the people of Belize feel toward the inspirational hero Fidel Castro. His contribution to the development of Belize through the continuous educating of our young people is one that we are extremely appreciative of. As the world continues to mourn the passing of Fidel Castro, we offer our prayers and support to the Cuban People. It is our hope that even after his passing, the bond that the people of Cuba and Belize share may be strengthened, so that we may come closer and see each other as “Brothers”. We pray that his dream and aspirations, as well as his legacy may live on through the people of Cuba.